Whilst wondering around London the other day, I spotted this funky little Yammy. 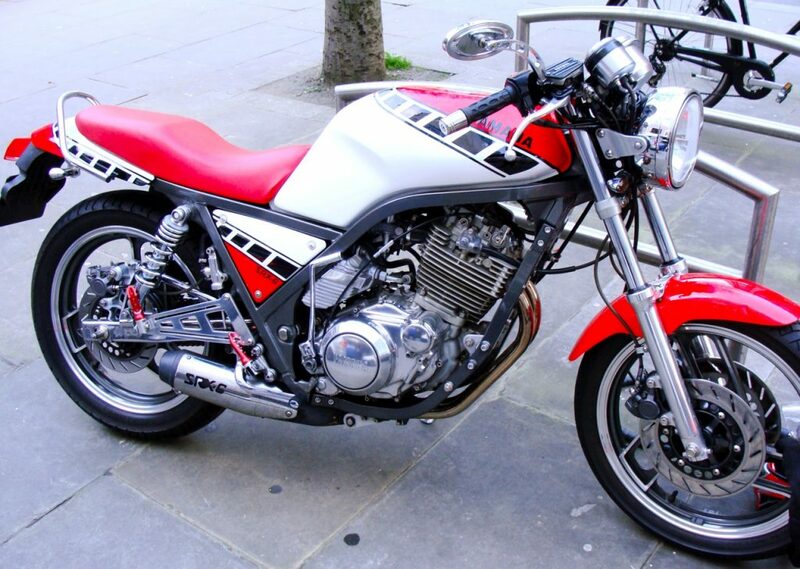 It’s an old SRX-6 (SRX600) from the ’80s, a 608cc single, with kick start. Flopped in the US, but was popular in Japan (along with the 400cc equivalent). Could well become a modern classic and often compared to old Goldstar’s. Great little bike. I am pining for this bike’s spiritual successor, the Yamaha MT-03; the thump of a 660cc big single is calling out to me!